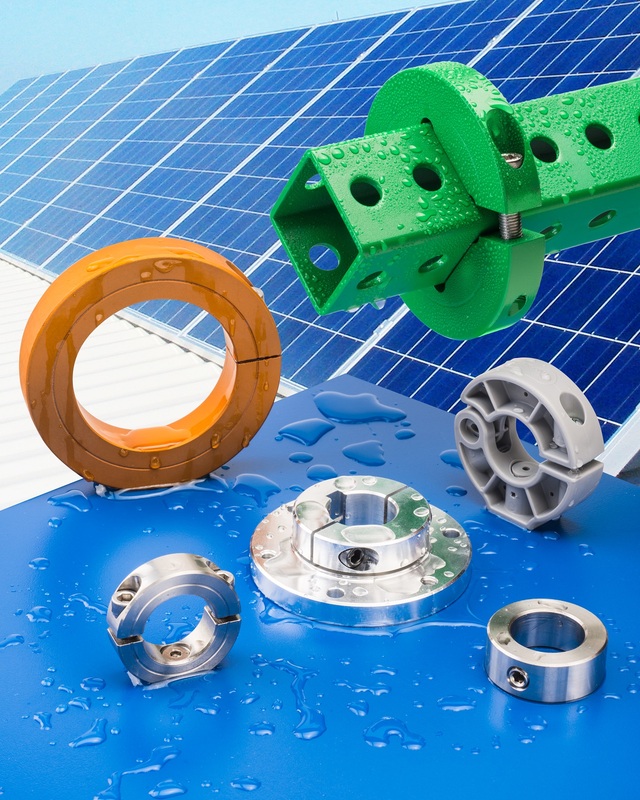 A line of weather-resistant shaft collars for outdoor uses including truck racks, structural compon- ents for communications, utility equipment and solar arrays, RV, marine, and related applications is available from Stafford Manufacturing Corp. of Wilmington, Massachusetts. Stafford Weather-Resistant Shaft Collars feature a wide range of one- and two-piece, hinged, and flange mount designs made from plastic, aluminum, paintable steel, and 304 and 316 stainless steel. Suitable for holding, locating, stopping, and mounting objects outdoors, these designs can meet a wide range of assembly, application, design, and cost requirements. Available in sizes from 1/4” up to 10” with various bore configurations, depending upon the material, Stafford Weather-Resistant Shaft Collars can be modified with mounting holes, knurls, and other secondary options to meet OEM design specifications. Applications include marine, truck and RV racks, and structural components for satellite dishes, and solar arrays. Stafford Weather-Resistant Shaft Collars are priced according to style, size, and quantity. Price quotations are available upon request.